Blue 7, a new piece from Jay's blue series will be featured in a fundraising event benefiting the Pasadena Art Alliance on May 7, 2016. The Pasadena Art Alliance is a non-profit organization that has been fostering comtemporary visual arts since 1955. It is holding it's 18th Biennial Art Auction Saturday, May 7, 2016 at the historic Vibiana in downtown Los Angeles. 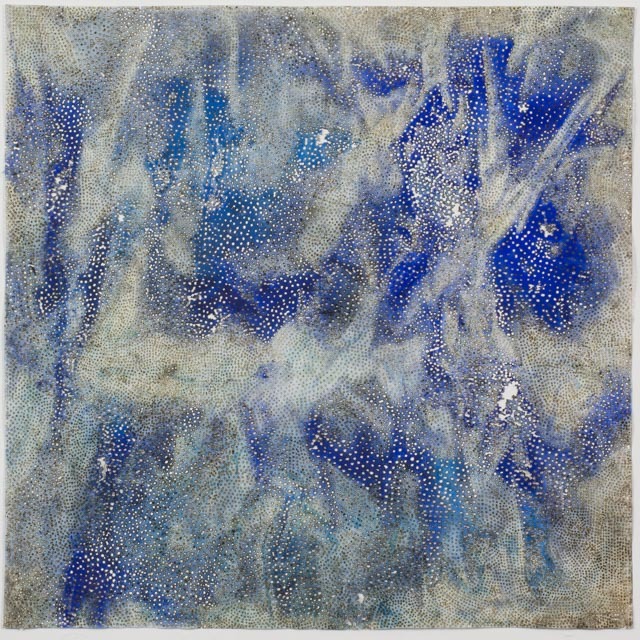 Jay's new piece, Blue 4, is on view and can be be bid on as part of a fundraising art auction for the Laguna Beach Art Museum. It is available for viewing during Preview Week, January 30- February 5. The Auction takes place on Saturday, February 6 at 6 p.m.
A recent piece from Jay's new Blue series is featured in the exhibition, Warschaw / Winter II, on view through January 30, 2016. Jay's piece, Nothing, will be exhibited at the New Mexico Museum of Art in an exhibition entitled Selections from the Joann and Gifford Phillips Gift. The exhibition will be on display April 17, 2015 - August 16, 2015. Over a period of 35 years, Joann and Gifford Phillips gifted a series of paintings to the Museum of Art. These artworks represent two distinct locations with works created during eras of significant growth and change within their respective contemporary art scenes -- California from the 1950 -1980s and New Mexico from the 1980s. The Phillips’ generous gift included works by California artists Richard Diebenkorn, John McLaughlin, Edward Moses Lee, Mullican and Joe Goode as well as works by New Mexico based artists Emmi Whitehorse, Richard Hogan Eugene Newmann and Allan Graham. Jay's new piece, Rust and Pigmente 2, is on view and can be be bid on as part of a fundraising art auction for the Laguna Beach Art Museum. It is available for viewing during Preview Week, January 31 - February 6. The Auction takes place on Saturday, February 7, 2015 at 6 p.m.